Who Says There No Thanks in Giving? The National Association of American Veterans, Inc. is in a proud position to offer thanks to all of our active-duty service members who have tirelessly proved their dedication to country and honor first. Those who are currently serving will be our future Veterans and deserve the right when the time comes to stand just as dignified as patriots and soldiers. Those who sacrifice family, friends, and their own lives to protect an entire nation of people go on to become living and most memorable legends. 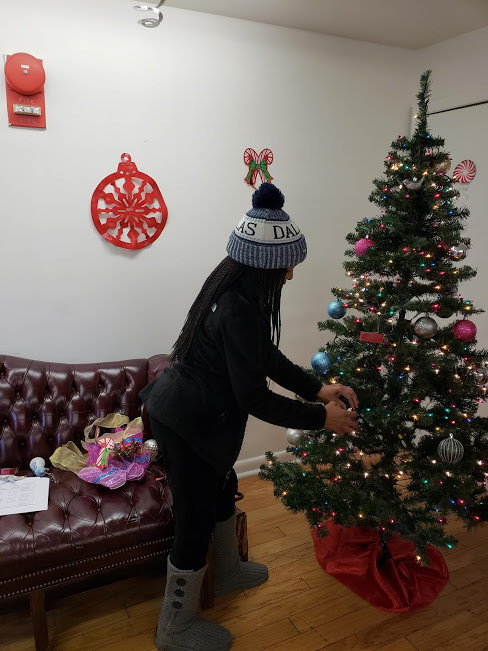 On November 22, 2018, NAAV’s Media and Publications Manager had the opportunity to volunteer as a NAAV representative by joining in with others who stepped up to roll calling and participated in decorating the halls and Christmas tree, while spending time with Veterans and breaking bread together at the DC Veterans Transition Access House on Chesapeake Street SE, Washington, DC. Saad Akhdar and Walter Elmore from the Housing and Urban Development Veterans Affinity Group (HUD/VAG) were the power coordinators who have helped organize the Access House Veterans Thanksgiving Day meal for the past eight years. 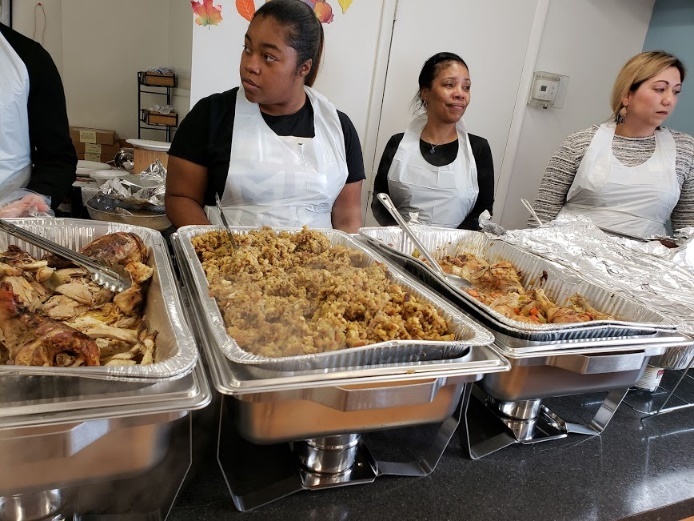 HUD/VAG has been instrumental in rallying volunteers and bringing in the overwhelming support needed to share warmth and the compassion of giving thanks to male and female Veterans residing at the DC Access House Veterans Center. This facility serves as transition point for Veterans who were once homeless prior to gaining permanent housing. This Veteran-focused transition program was founded by Air Force Veteran H. R. Crawford, who had many successful years giving homeless Veterans an opportunity to obtain permanent housing. 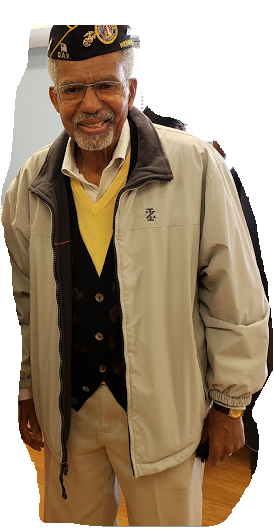 H. R. Crawford passed away in 2017, but not before turning over the reins to his son Greg Crawford, who joined the Access House in 1999 and officially became the center’s director in 2008. Greg’s smile and humble spirit says it all as an honored successor to his father’s legacy in keeping the Access House dedicated to the service of our Veterans. 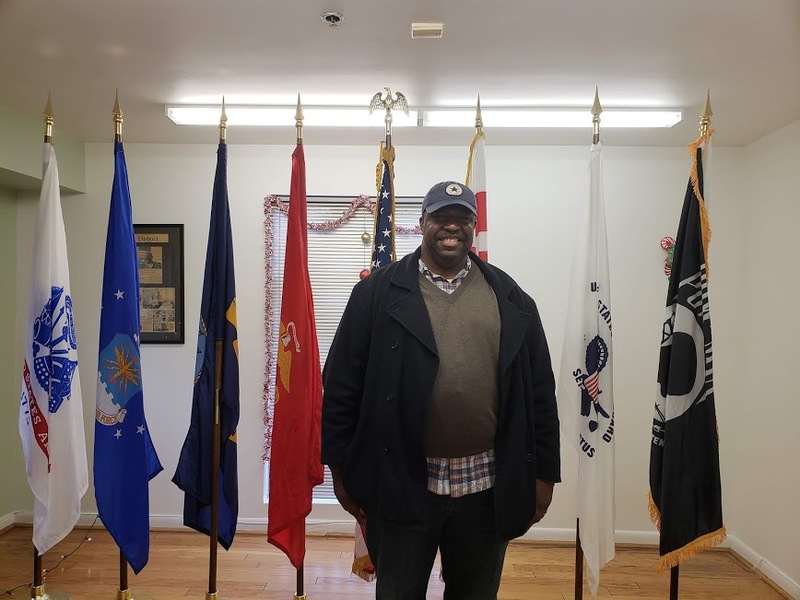 Mr. Ted Howard, a Board Member for the DC Access House Veterans Center, was also among the many who came out to pay tribute and give thanks during the Thanksgiving Day Veteran’s meal. Mr. Howard is also a Veteran—a Disabled American Veteran who served with the Marine Corps Infantry division. Ted and H. R. Crawford met in 1968 and remained constant supports to the work and mission to securing the lives of homeless Veterans in Washington, DC. The Bridge—This is the initial 90-day transition phase where residents who are transitioning from homelessness come into the program seeking counseling services, as well as mental and physical support prior to fully entering into either the SRO or PSH programs. Veterans who enter into the Access House program are received based on a selection process and get assigned to a case management specialist as they adjust to life off the street into a secure, healthy, and safe environment. The following pictures are just a few taken during the Thanksgiving Day occasion at the Access House, 1–5 p.m. 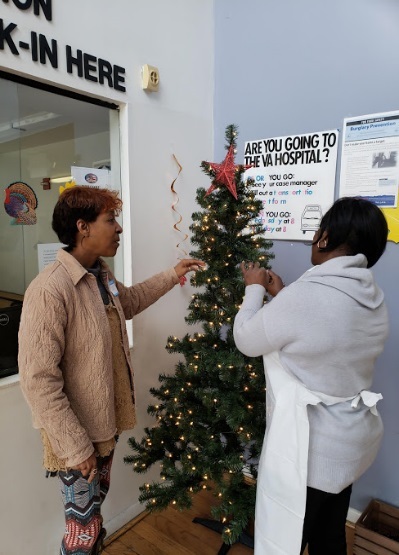 Covered for catering and ready to serve—Wanda Smith Battle, Army Veteran, helps decorate one of the beautiful Christmas trees donated to the facility. 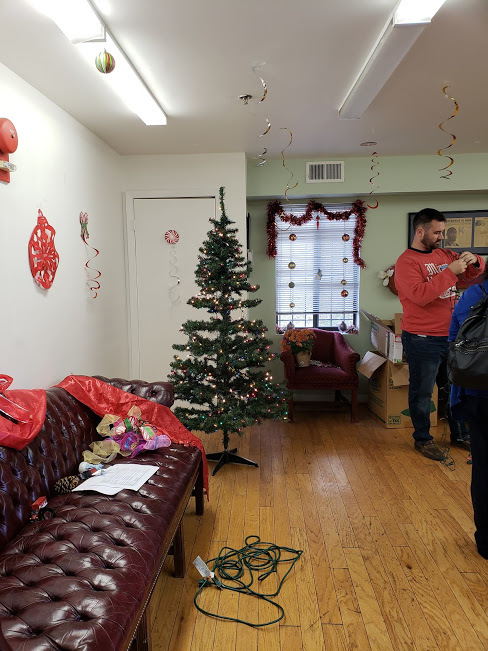 Hanging all the bells in time for Christmas at the Access House Veterans Center—volunteers coordinate their decorating talents. A delicious meal was served to volunteers to the Veterans residing at the Access House over the course of the event. A lot of communication was going on between volunteers and the residence, while others enjoyed eating their meals and watching the football game between the Chicago Bears and Detroit Lions. 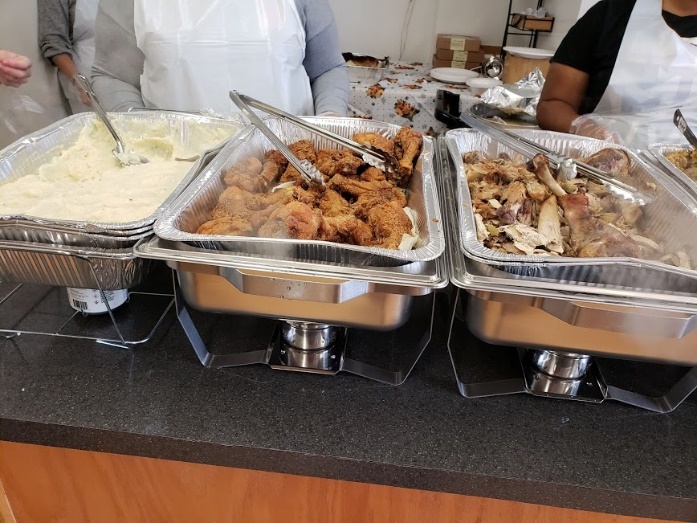 Between 30 and 40 Veterans came through the dinner line on Thanksgiving Day to receive the wonderful assortment of food that was prepared, and were grateful and basking in all the comforts of home. This entry was posted in News and Events, Veteran Stories, What's New. Bookmark the permalink.